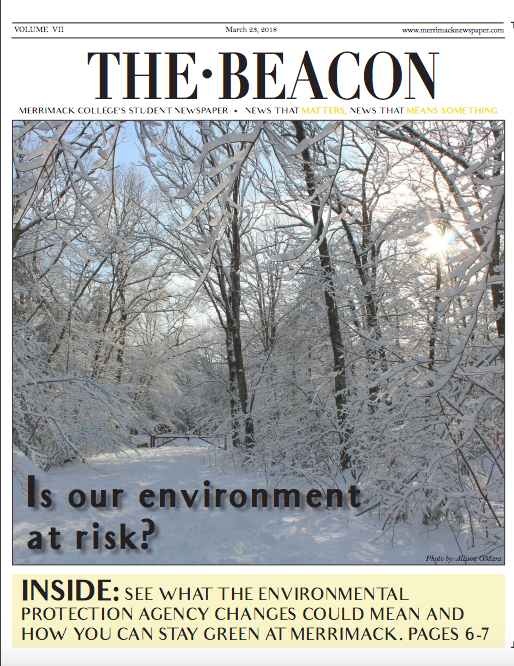 Many Merrimack students are often faced with a lunchtime dilemma. It is noon on a week day and there are only 10 minutes to eat before the next class. Therefore, there is no time to sit down in Sparky’s or wait for a meal to be made at the Den; so what other options are there ? 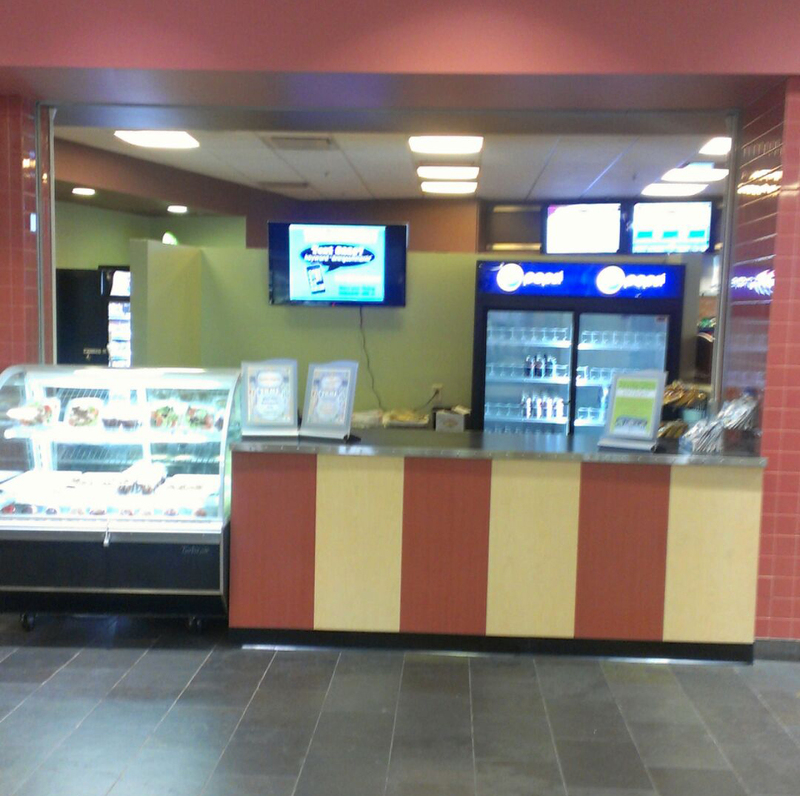 Sodexo realized that Merrimack students are constantly on-the-go, so they have created Sparky’s Express located right outside the Den in the Sakowich Center. Sparky’s Express is a faster, easier dining alternative designed for students who want to take their lunch on the go. By using a swipe from their meal plan, students are able to get an entire lunch: a sandwich or salad, a side, a dessert, and a drink. Sandwich options include ham and cheese, peanut butter and jelly, or a buffalo chicken wrap but differ week by week. There are also premade salads and fruit options, including grapes and apples. When sophomore Taylor Mason went to Sparky’s Express for the first time, she was pleasantly surprised. “I used one swipe to get a buffalo chicken wrap, a bag of Lay’s Chips, a cup of grapes, two chocolate chip cookies and a diet Pepsi. 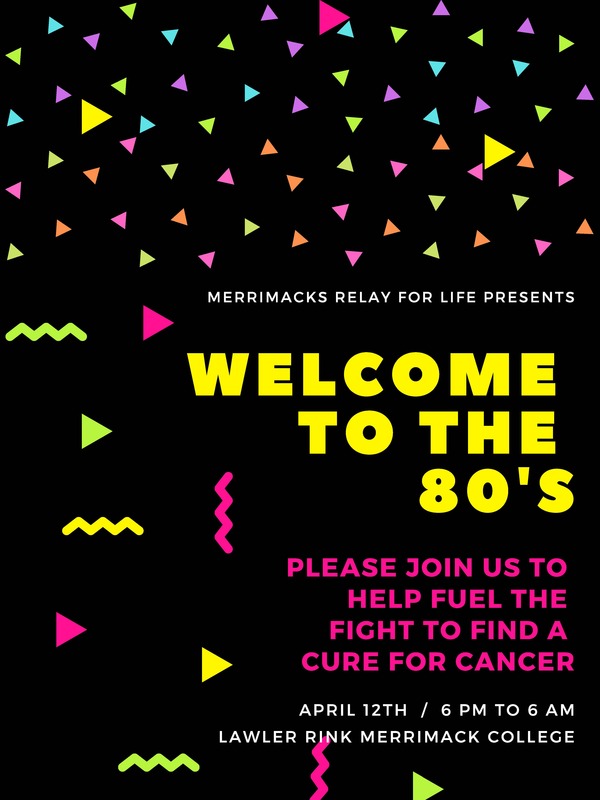 It’s healthy, convenient, and you can take it back to your room.” She adds, “It’s good when you need something quick and you don’t want to go sit in Sparky’s.” Christine Keenan, another sophomore, agreed. “It’s really convenient and I like the sandwiches here a lot more than the ones I would get in Sparky’s. It’s definitely my new favorite date spot. 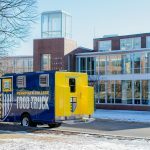 Now I just need them to let me use my swipes at the Den, too!” While Sparky’s Express is specifically targeted toward resident students with meal plans, ,faculty, staff, and commuter students are also offered meal plans to receive a better Merrimack dining experience. The commuter meal plan allows students to eat up to five meals per week at Sparky’s Place or Sparky’s Express and also includes one hundred Bonus Den Dollars. 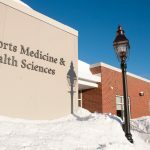 Merrimack faculty and staff can also save up to 57 percent by purchasing one of the four faculty and staff meal plans at the Dining Office. In the first month of operation, Sparky’s Express has already become a popular spot on campus. Students and faculty are enjoying this quick and simple dining experience and are looking forward to what is to come. Sparky’s Express is in the Sak. Hours are Monday – Friday 11 a.m. – 1:30 p.m.